About Us - Quality Car Batteries - Best Price in Sydney! Free Delivery & Installation Service. At Sydney Battery, we don’t just replace faulty batteries. Instead, we give our clients an experience they can treasure for years. 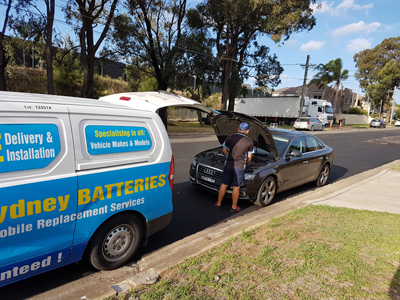 Our Sydney mobile car battery replacement service features the BEST PRICES, quality batteries, top quality service, and FREE delivery and installation facilities. Our network covers the entire Sydney region, including CBD, North, South, West, and East of Sydney. Our customers don’t need to have a membership to use our service. With one phone call, customers can order their battery and has it deliver within 1 HOUR / 7 DAYS. Since its inception, Sydney Batteries has been offering timely and valuable support to people looking for premium quality car batteries. You will be fully satisfied with our maintenance free batteries as they are manufactured to the highest quality standards using the latest technology. Being a fully insured and licensed car battery replacement company, we offer an exclusive guarantee for our work. We issue tax invoices and warranty receipts for every battery you purchase from us. Extending a helping hand to our clients all across Sydney, we can deliver and install your car battery when and where you need us the most. So our services will keep you on the safe and happy side always!